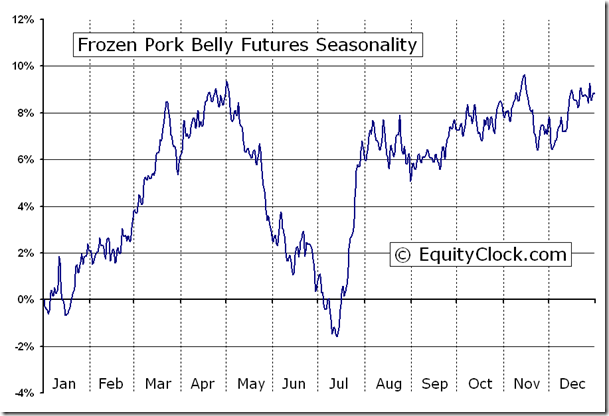 The above chart represents the seasonality for Frozen Pork Belly Futures (PB) Continuous Contract for the past 20 years. Analysis has revealed that with a buy date of July 18 and a sell date of March 24, investors have benefited from a total return of 424.77% over the last 10 years. This scenario has shown positive results in 9 of those periods. 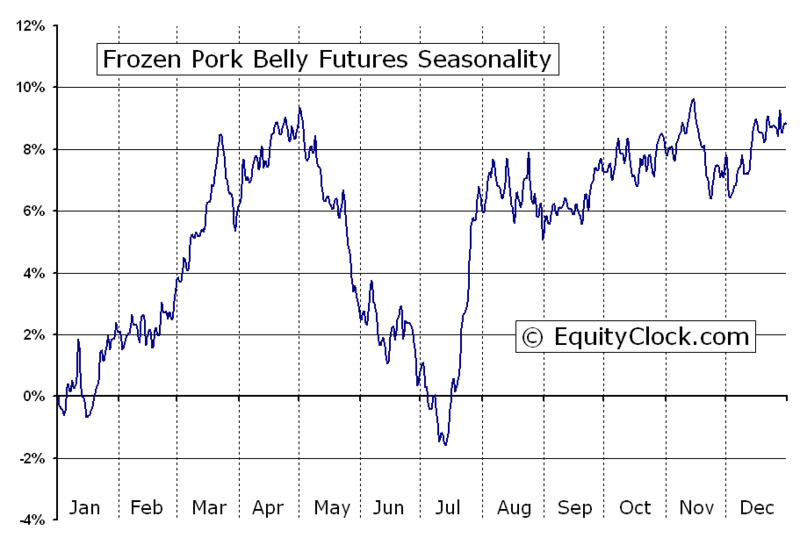 Conversely, the best return over the maximum number of positive periods reveals a buy date of October 20 and a sell date of November 28, producing a total return over the same 10-year range of 60.82% with positive results in 10 of those periods. The buy and hold return for the past 10 years was 32.73%.